Did you know that more than 40 percent of brands are increasing their budget spending on pay-per-click advertising? We know that making money with PPC definitely works. That’s why an increasing number of online companies are switching to it. However, that doesn’t mean it’s easy to take advantage of the opportunity to make money with PPC. In this article, you’ll discover our 10 tips for more effective PPC marketing campaigns. Let’s go! How can you make sure your ad stands out from the crowd? You can also make sure the user feels a sense of urgency. If they don’t click on the ad now, then the deal is off. People hear negative keywords and they think it’s about bashing your competition on social media. That’s not the case at all. PPC is about targeted marketing. Therefore, negative keywords can be used to narrow down your audience to customers who actually going to result in conversions. For example, imagine you want to promote your cheap and affordable jewelry products. You would use the negative keyword feature to cancel out specific words which wouldn’t trigger the ad, such as luxury and expensive. You may be using keywords. But, are you making use of dynamic keywords? Dynamic keywords insertion is a tool provided by Google Adwords is when you insert the specific search term or phrase into the ad. This improves the probability that your audience will click on the ad. However, don’t attempt to use dynamic keywords if you’re inexperienced in pay-per-click marketing. You can simply confuse and irritate your audience with irrelevant ads which waste your ad budget before you know it. 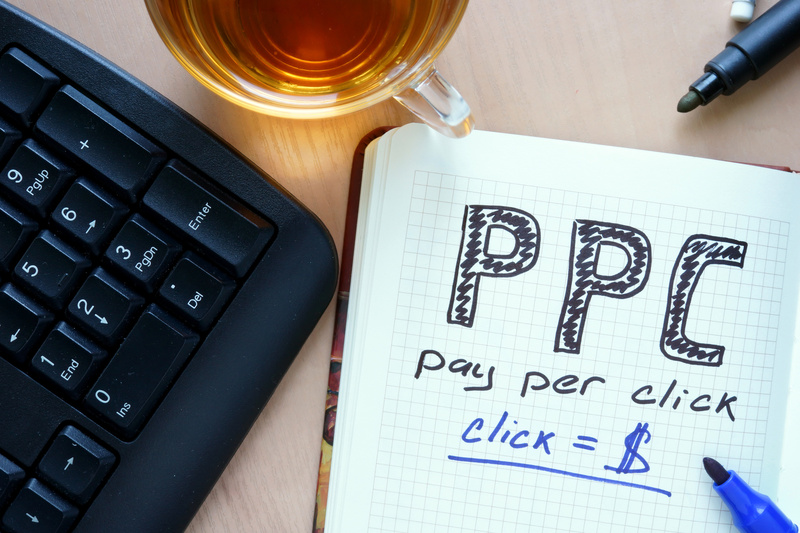 Learn more about how to avoid wasting your budget with these PPC tips. The days when you could use a generic keyword for your PPC ad are over. Now you need to take advantage of longtail keywords. Longtail keywords need to be between three and six words. If executed effectively, then you can significantly increase your conversion rate. People searching with longer phrases are usually clear what they’re searching for, and therefore, you’re more likely to convert those clicks into customers. Make sure you include words which indicate someone’s ready to make a purchase, for example, “buy,” “purchase,” and “shop”. You need to experiment to discover what works and what doesn’t work. Don’t just keep pumping out PPC ads without results. By carrying out A/B tests you can find out which ads are successful and which fail. This allows you to improve your PPC marketing strategy over time. In order to generate enough data to analyze, you need to run a number of ads at the same time. Then, you can compare and contrast to know what to stop and what to develop further. Geo-tagging is not only for Instagramers. If you’re not already using geo-locations you reach out to your audience, then you need to change this. Imagine you’re selling a product to an audience in New York. What’s the point if the ad is viewed or clicked on by a resident in California. You’re just wasting your PPC marketing budget here. That’s why by focusing on your PPC marketing ads in particular locations, you can optimize your chances of converting clicks. Geo-location features are available from Google Adwords and other platforms. It’s not just geo-locations which can allow you to target a particular audience with your PPC ad. Take advantage of your data and metrics to judge the best time to launch your PPC ads. What can you expect to receive the highest conversion rate? Imagine that your data says you receive a high quantity of clicks during a particular period of the day. ]But, you don’t make any sales during this period either. Then, you should reduce your PPC ads during this time. Are you struggling to come up with keywords to target customers with your PPC ads? You should make use of keyword generators, such as Google AdWords Keyword Tools and many others. However, don’t depend on such tools for your keywords. They should help spark your creativity. But, you’re dealing with human beings searching, so you need a human at the other end too. Are you directing PPC ads to your homepage? You could be throwing potential customers away. You have targeted your audience with carefully designs PPC ads. But, then you send them to your homepage which isn’t targeted at all. You need to send your potential customers to landing pages which improve the probability of making a sale, for example, your online store. It’s important to maintain a high Google Quality Score. This is what determines your position on search results pages. All you need to do is follow the rules according to Google AdWords. Make sure you keep aware of changes to Google’s Algorithm all the time. It’s possible to make money with PPC if you know what you’re doing. PPC ads can help you to increase your conversion rate significantly. However, if executed badly, then you could be throwing money away. If you want to discover more about PPC advertising, then check out these places to learn more for online business owners.